Iceland is the non-European union member and is the part of Schengen area so traveller who is willing to visit Iceland has to apply for Schengen Visa. 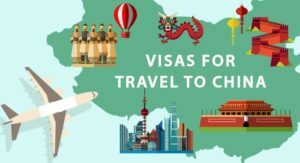 To apply for Schengen visa is a little bit strict when applying for others visa, But as we know that it’s advantageous for travelling to Schengen countries with one single Schengen visa & visit all the other 26 Schengen member area. An Indian travel to Iceland can apply for a visa in the Embassy of Denmark through the VFS Global in New Delhi, Chennai, Mumbai, Kolkata and Bengaluru. Information on visas and applications can be found on the official websites of the Danish Embassy. Depending on the purpose of visit, Iceland offers different types of visas to every traveller. Iceland tourist Visa or small term tourist visa – This type of visa is required when an applicant is planning to travel to Iceland then he or she has to apply for Iceland Visa or short-term visitor visa. These types of visas cannot exceed more than 90 days. Business Visa – If the applicant is travelling to Iceland for any business purpose then he or she has to apply for a business visa. The validity of this visa is for 9o days and if any case likes meetings, tours etc. are postponed so time period can be exceeded for more than 90 days. Family or friends Visa – This type of visa help those applicants who are willing to travel to Iceland to meet their family or friends who are already staying there. Student Visa – If the applicant wants to go to Iceland for studies then he or she has to apply for a student visa but before applying for this visa he or she firstly take admission in a recognized institute. Underage children Visa – If the applicant is travelling to Iceland and he or she is an underage child then he or she has to apply for underage children visa and the child has also provided us with the non-objection letter from his parent side. Work Visa or Employment Visa – If the applicant is travelling to Iceland for work or employment then the applicant has to apply for this kind of visa. Work visa or employment visa can also exceed for more than 90 days. Medical purposes Visa – If the applicant is willing to go to Iceland for their medical checkup then he or she has to apply for a medical purpose visa. There are two ways to apply a visa to Iceland. One is an online way and second is an offline way and it depends on the applicant whether he or she wants to apply online way or offline way. Online forms – The applicant has to fill the form with all required data and upload the required documents on the official website of the Schengen Iceland Visa. Make sure the information which is uploaded in the form should be correct and there would be no mistake in the form. Offline forms – To apply for the visa in offline way firstly applicant has to download the form from the official website of Schengen Iceland visa then applicant has to fill the form with blue pen and stick two passport size photographs with all the required documents and signature then the applicant has to submit the form to the nearest consultant of the Schengen Iceland Visa embassy and one day will be final for the consoling for the verification. 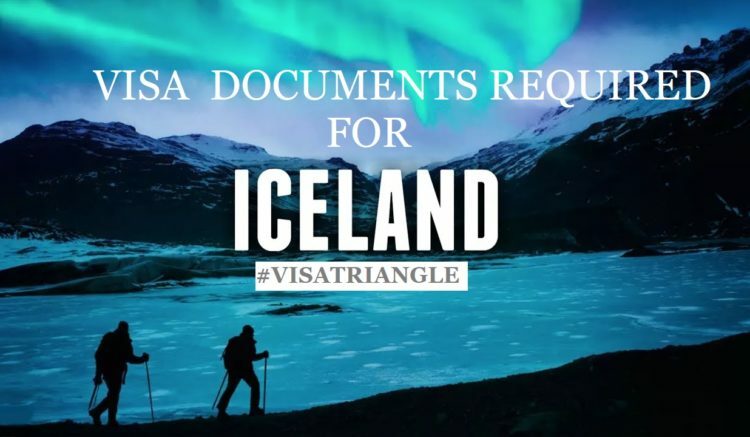 If the applicant is planning to spend their holidays in Iceland then firstly they have to know what kind of documents is required for applying for Schengen Iceland visa. Before applying for a visa applicant should know the validity of his or her passport is still valid or not. The validity of the applicant’s passport should be extended for 90 days after returning from an international trip. Applicant must ensure that there must be two blank pages in the passport as per the requirement of Iceland Visa embassy. A cover letter in which the applicant must give the information about his or her trip and why they are going to Iceland. In this cover, latter applicant should also provide the day to day details itinerary. Fill the visa application form correctly and carefully along with your signature. The dimensions of your passport size photograph are (35 X 45mm) with a light background and also include 80% face coverage of the applicant as per the requirement. Applicant must have the proof of abroad travel insurance. Applicant should also have a copy of their hotel bookings and travel itinerary. If you are employed then you should also provide your salary data of the previous 3 months. If the applicant is retired he or she must show retire proof or pension order. If you are a student then you should have student I.D and enrollment from the school or university. The above information may help you to full fill the Schengen Iceland Visa application form but in any case you are not getting how to apply or any other issue is coming in front of you so our company Visa Triangle is here for you to solve your problems regarding this visa purpose and our visa company will also help you out in services like travel insurance, medical insurance, holiday packages, hotel &ticketstickests etc.